Are you excited about the new Beauty and the Beast movie? I am! To celebrate this iconic story that marked all of our childhoods *stares nostalgically into space* I have compiled a list of my favorite Beauty and the Beast retellings. And there's a special quiz waiting for you at the end! Excited? Read on! And now for the good stuff. I don't know about you, but for me, no movie can ever compare with the images a good book can conjure up inside my head. 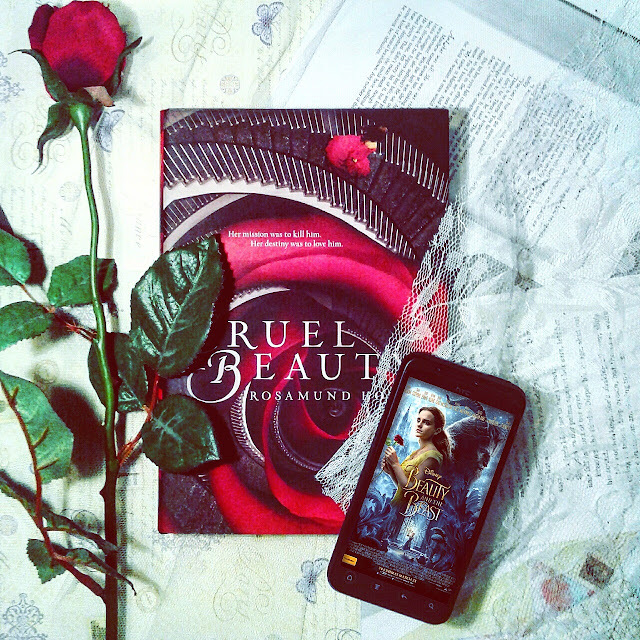 Here are a few of the best book retellings of Beauty and the Beast. Most of them are Young Adult, but a few towards the end are adult romance, and there's even some classic literature. Have you read any of them? I've chosen only the ones that I have both read and loved. Our beloved A Court of Thorns and Roses fae series needs no introduction, but if you haven't started this swoony, action-driven high fantasy already, do it now! And if you have, let's weep together while we wait for ACOWAR. And speaking of swoony, I just love this retelling by Robin McKinley. It's written in a beautiful prose, and it's very true to the original fairytale. I just love a retelling that takes place in historical times. Beauty is a pretty strong heroine in this one, too, which I absolutely adore. I think Beastly is the smartest retelling I've ever read, by far. (With the possible exception of A Kiss In Time, also by Alex Flynn). It's set in contemporary times, but it includes a curse that makes a gorgeous boy hideous until he can learn some manners. The heroine in this one is just goals. She's a reader, kind, and kickass. Yay. Cruel Beauty is my favorite retelling of Beauty and the Beast and one of my favorite books period. It's pretty dark, however, toying between the line of fairytale retelling versus Greek mythology retelling. The 'Beast' is also a Hades figure, keeping a girl prisoner for a certain period of time until she can go back. It sounds familiar, I know. But what follows just blew my mind. Not to mention the romance, which was just... a-mazing. The Princess Curse is another favorite book. It looks middle grade, but it is a Young Adult retelling of Beauty and the Beast, including elements from The Twelve Dancing Princesses. It also features a very yummy and very tortured hero (we all love those, right?) and a plucky, hardworking and smart heroine. Just writing these lines makes me want to reread it. Now. 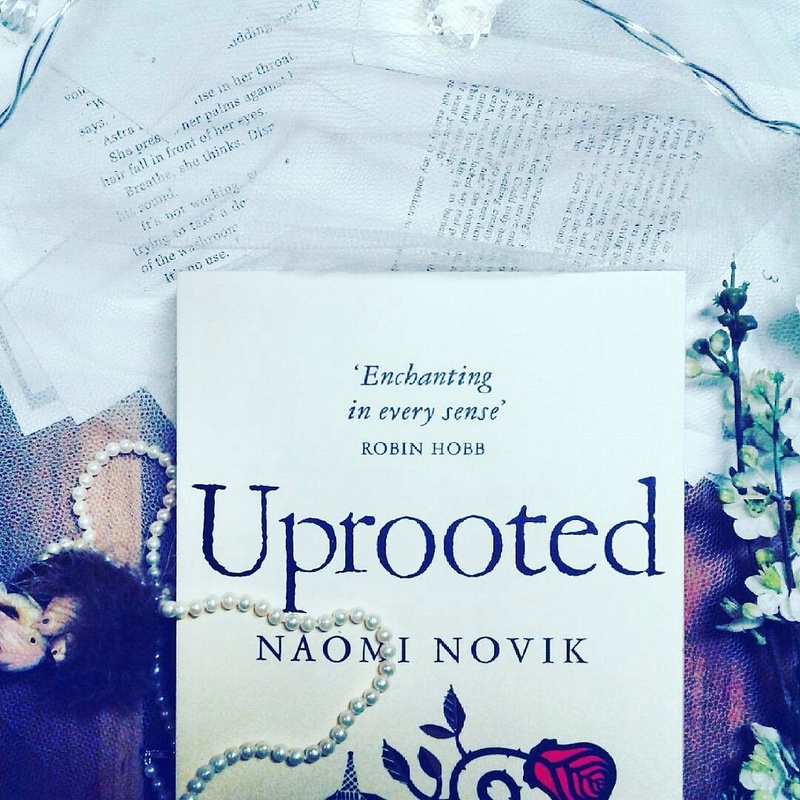 Uprooted took me some time to get into, but once I did, I just loved it. The world-building of this fantasy slash adventure Young Adult book is just amazing and so is the imagery. According to a good reader friend, this is supposed to be a retelling of a Polish myth (how exciting! ), but it does have some very strong elements of Beauty and the Beast. From one point on, I just couldn't put it down. Look away, young 'uns, this is an adult romance. Again, When The Beauty Tamed The Beast by Eloisa James is a historical fiction novel, and there's no magic in it, except that is, for the magical writing of Eloisa James. Man, that lady can write. The characters, the story, the romance, the humor... This book has it all. The "beast" is a doctor, and the witty banter between him and the heroine is just... unputdownable. And then she is in danger and he has to take care of her and... sigh. Also, he's disabled. How much cooler can you get? Not much. Suffice it to say, this is on my all-favorites list, and if you read in the genre, I'm sure you've heard of it or read it. Isn't it just the best thing that could have happened to us readers? Of course Jane Eyre had to make it into this list of Beauty and the Beast books, right? I mean, Mr. Rochester is the definitive beast, ugly, hurt by life, imprisoned in his "castle". And Jane... Well, Jane is and will always be the one Beauty of the literature world, inside and out, and no one can convince me otherwise. Here's where it gets tricky. Why? Because the tenth book is up to you! Anyway, here is your chance to find out what book you'd add to this list! What result did you get? Please write a comment below! Did you watch the movie? I can't wait! Was it everything you'd dreamed of? I have it in my library bc I have meant to read it again. But I can't bring myself to do it, lol! Great post! There are so many retellings I have to read someday!